Abarth is continuing its tradition of building accessible competition machinery with the unveiling of its new Abarth 500 R3T rally car. Revealed for the first time at this month’s 51st San Remo Rally, the Abarth 500 R3T will feature in a one-make rallying trophy in 2010. 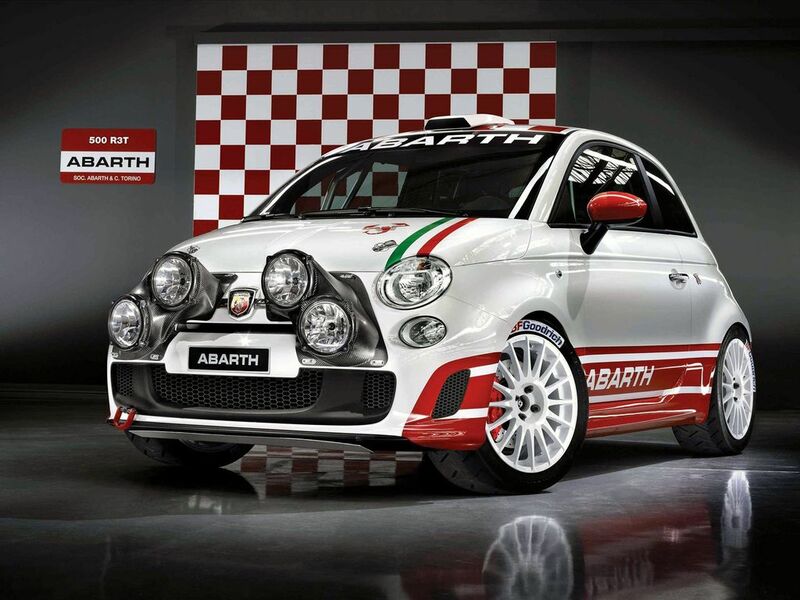 The European and Italian Trophies for the Abarth 500 Assetto Corse circuit racer will continue. The Abarth 500 R3T’s 1368cc engine is fitted with a Garrett GT 1446 fixed geometry turbocharger, delivering 180bhp (132kW) at 5500rpm. It is equipped with a 6-speed sequential gearbox, a self-locking blade differential, twin disc clutch and special half-shafts. Attention has been paid to the possibility of adjusting the suspension to adapt the set-up to suit different surfaces and drivers’ styles. Four Brembo disc brakes – ventilated at the front, solid at the rear – with an adjustable split system, provide the stopping power. The car also features a hydraulic hand brake. The 1080kg Abarth 500 is fitted with a specific welded-in roll-cage integrated to the body shell, FIA homologated seats with 6-point harnesses and other necessary safety devices. “Abarth’s ability to produce high quality racing and rallying machinery has never been in question,” says Ivan Gibson, manager, Abarth brand UK. “We have already seen how good the Abarth 500 race car is, and I am looking forward to watching this new rally car perform.” The calendar for the Abarth rally trophy will be published later this year. Meanwhile, the Abarth UK Hill Climb programme has ended for this season with the team’s two Abarth Grande Punto esseesse cars once again posting impressive times in the hands of UK journalists. 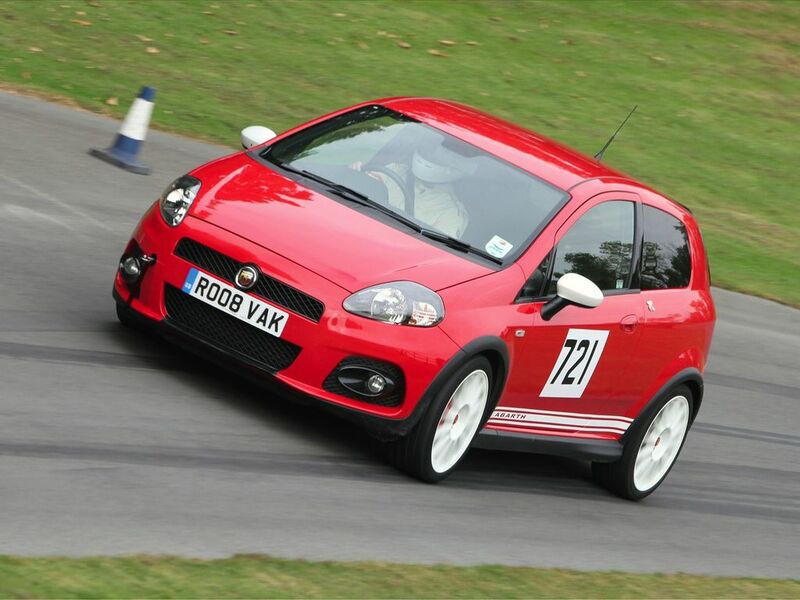 At last weekend’s Prescott Autumn Classic Hill Climb, Cheltenham – the seventh event this year for the Abarth UK team – writer and columnist John Simister managed a time of 54.81 seconds followed by fellow journalists Tim Dickson (55.20 secs) and John Swift (55.23 secs). The times proved that the 180bhp Abarth Grande Puntos are not only high performing road cars, but are more than capable of delivering results in competition. Neither vehicle has used any spare parts throughout the season, and both have run with 100 per cent reliability while being driven to and from all the events contested.